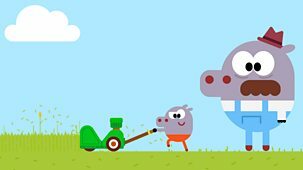 It's a lovely day. 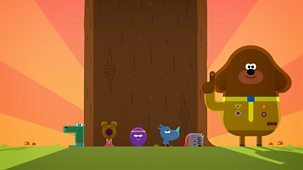 Duggee and the Squirrels are out on a walk in the countryside. 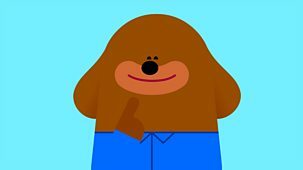 It's been a long walk and the Squirrels are starting to get tired, but it's a long way back. 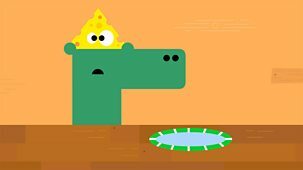 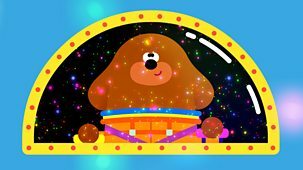 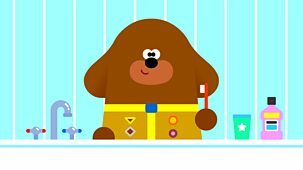 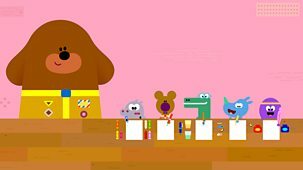 Don't worry, Duggee has his singing badge. 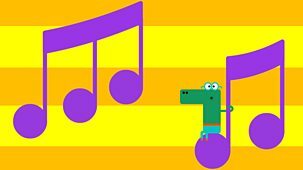 If they sing a song, they will be back before they know it. 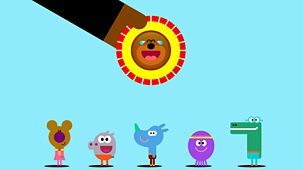 Duggee starts to sing a song and marches ahead, while the Squirrels march behind him and join in. 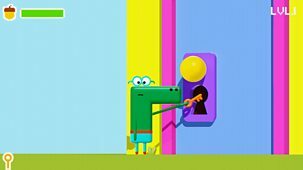 Hold on, what's that noise? 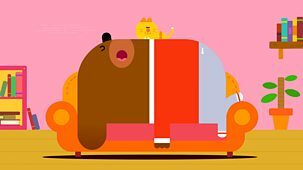 It's Mrs Weaver the beaver, and she's struggling to get her cubs to sleep with all that noise! 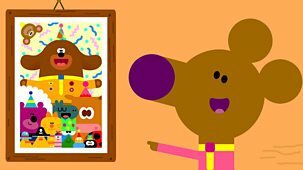 Duggee takes the Squirrels and their parents on an exciting mystery trip, where they learn they can make anywhere special and earn their Big Day Out badges in the process! 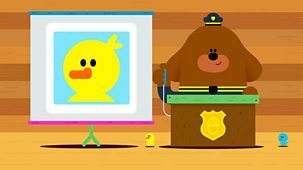 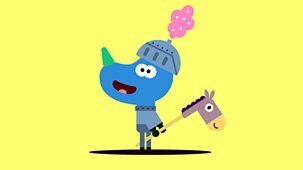 Duggee and the Squirrels go on an adventure to find a famously shy creature called The Snard who doesn’t like noise… time to earn their Being Quiet badges! 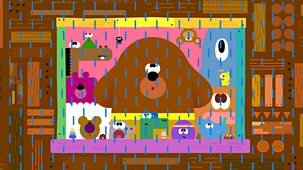 A severe weather warning from Duggee’s barometer leads the Squirrels to round up all the creatures they can find outside and pile into the clubhouse for an impromptu party. 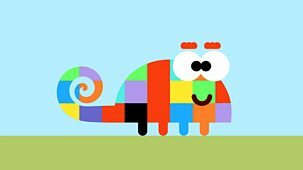 The Squirrels meet a chameleon called Cosey and learn about how to blend into their surroundings, earning their Camouflage Badges in the process!